In this recent interview Jew Don Boney explains the urgent need for leadership in our community and the meaning of civic engagement. 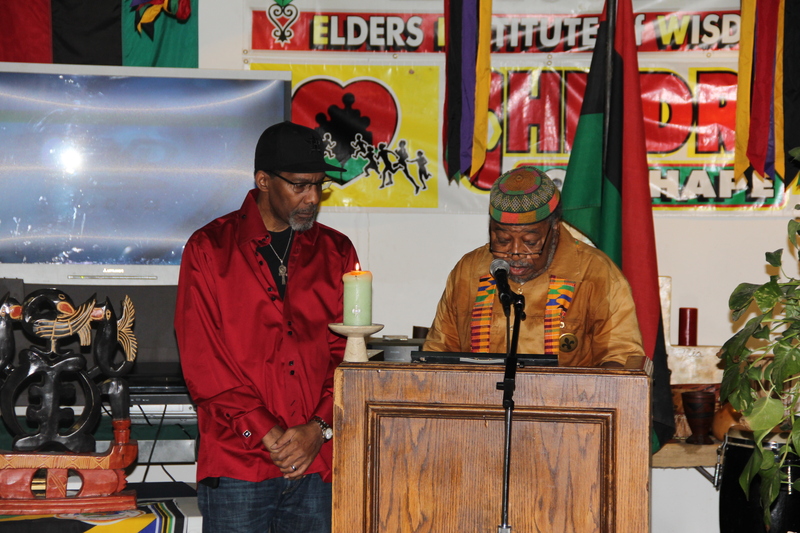 Jew Don Boney was honored at the 9th Annual Katrina Observation by NOAHORG, The New Orleans Association of Houston. Running for public office is not an easy decision to make, but it is often the most effective path change to change public policy. 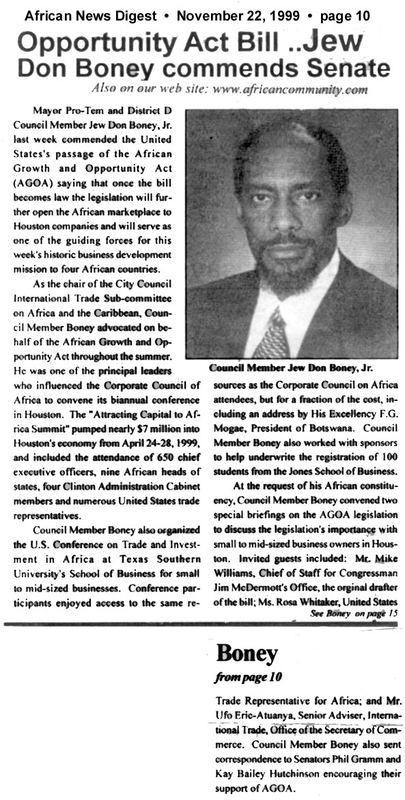 In 1996 to 2001 I was Elected Houston City Council member District D additionally serving as the elected Mayor Pro-Tem from 1998 – 2001. 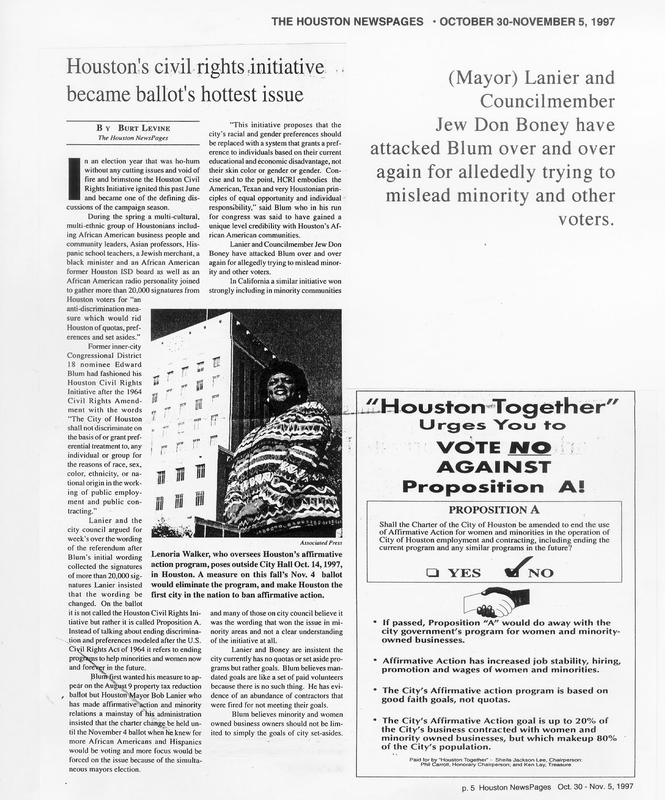 Jew Don Boney reflects on his experience on Houston’s City Council and serving the city and his community. 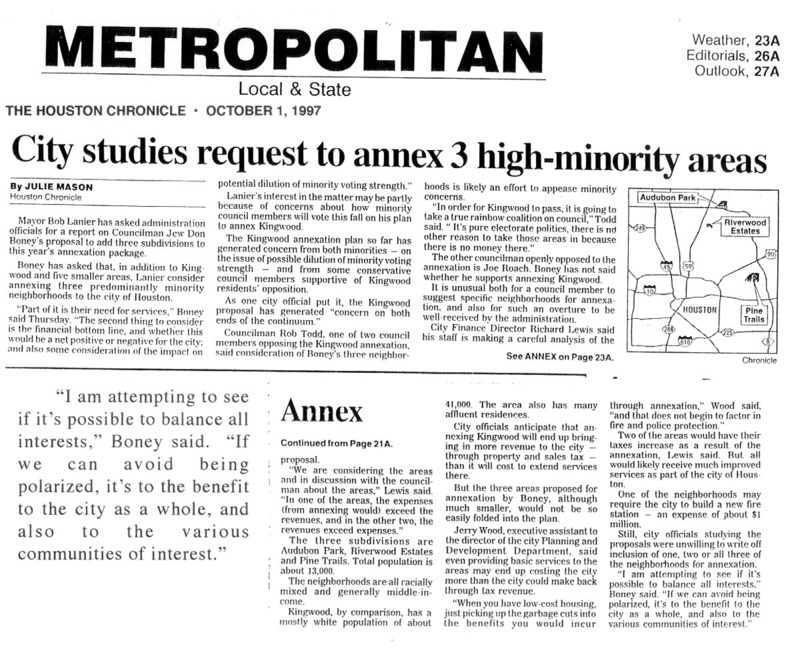 Jew Don Boney makes a bold move in city annexation plan.